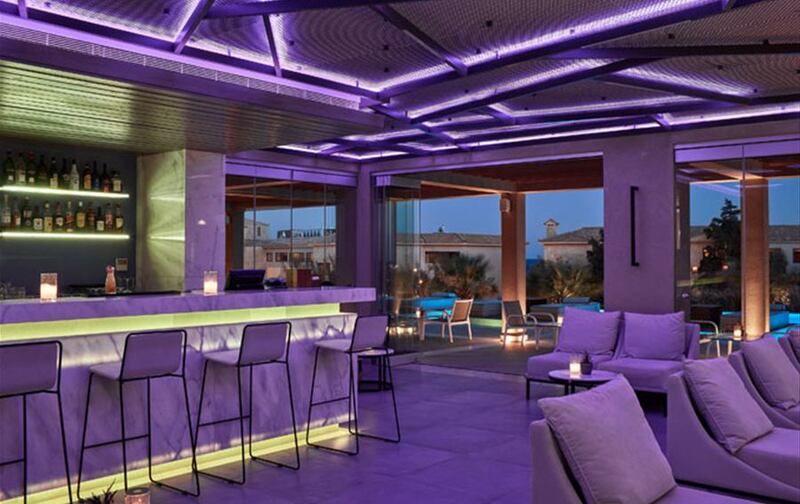 It’s the perfect meeting point to start your evening and even better if you enjoy a cocktail or two within peaceful surrounding, looking out to sea. You will find oversized furniture perfect for couples and waiter service that leaves no glass empty. Light snacks are served throughout the day so if you enjoy getting lost in a book with a few nibbles to hand, you’ve just found the perfect spot. 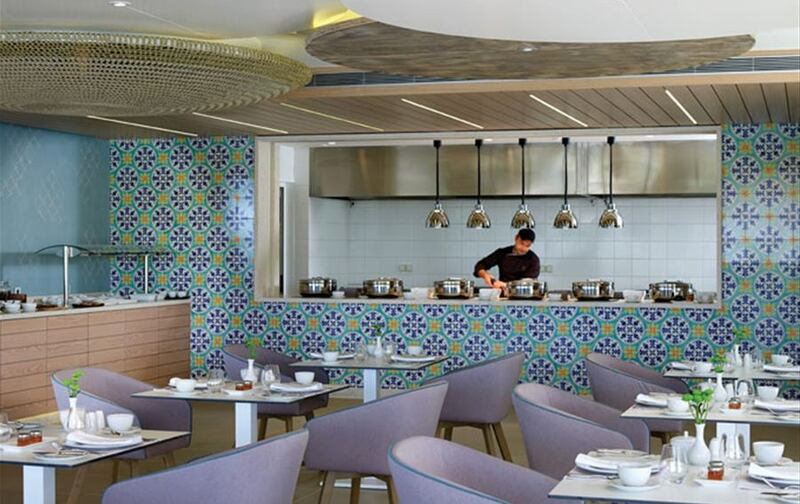 Exploring the Greek kitchen with an added modern twist, Mylos offers a local touch to your evening dining experience. 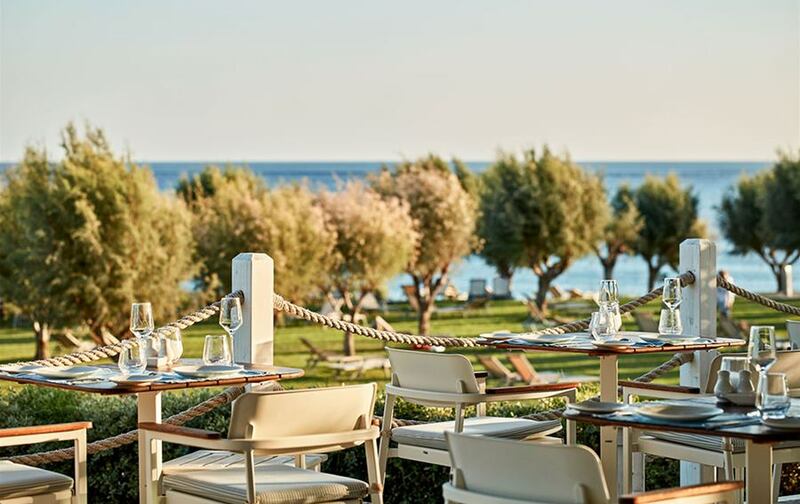 With a view across the Mediterranean Sea and Tsambika Mountain in the backdrop, our chefs offer the most traditional, locally sourced dishes, giving you a true Greek experience in the most ambient of atmospheres. Reservation in advance is required. It’s the decision that will be your hardest choice here as our chef plates up some boundary breaking delights. The setting is what set’s this place apart from the rest with the option to dine indoors or out. There’s also a chance to try the hallmark in fine quality dining from our highly trained chef’s or a unique experience with Fusion cuisine where your meal will be served on a hot lava rock. Reservation in advance is required. 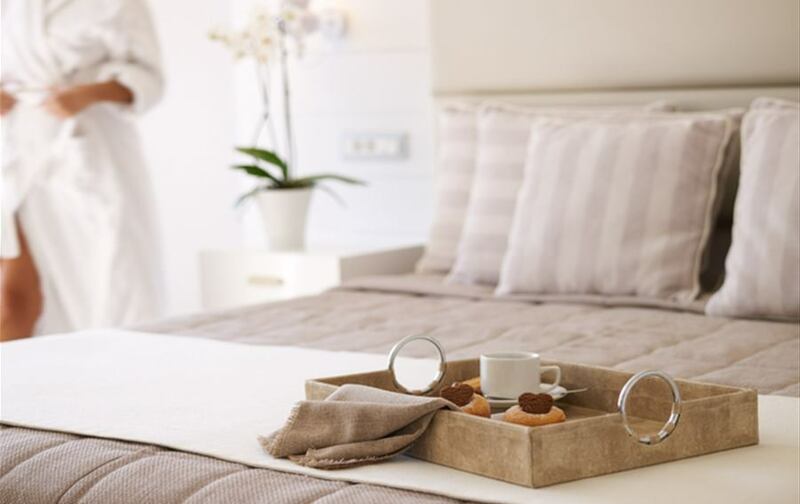 If you prefer the comfort of your own room, with an additional charge we offer an extensive menu delivered right to your door. Serving thirst quenching drinks throughout the day whilst you’re enjoy the relaxing pool scene. You’ll find a full variety of soft, alcoholic, cold and hot drinks as well as tempting cocktails just to remind you that you’re on holiday. Offering a personal touch within a varied buffet full of divine flavours from around the world. 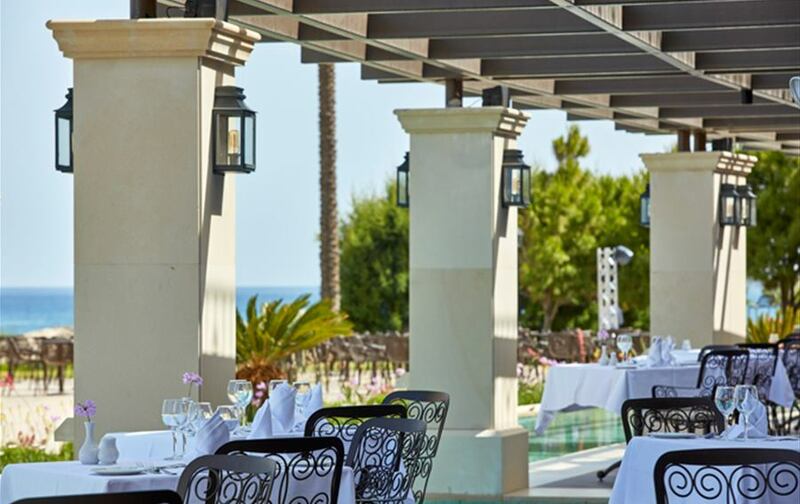 With a choice of dining areas including the Al fresco terrace the buffet serves up regular favourites and traditional local dishes for breakfast, lunch and dinner. You will find a top variety of tasteful delights freshly prepared by our chef for breakfast with an extended opening time for the late riser. For lunch you can choose from our extensive snack menu and our team will cook up a tasteful dish as you order. Our snack menu is not included within the all inclusive package. During the evening an A la carte menu awaits you for a true fine dining experience, breaking the boundaries of international cuisine. Offering the hallmark in fine quality dining, a highly rated menu can also be selected as an added extra. 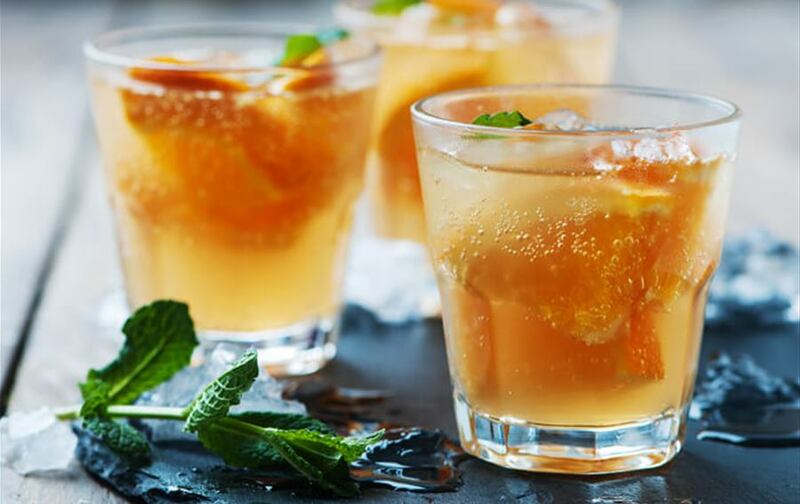 A refreshment is never too far away, whether you prefer service at the poolside or a drink at the bar, there's a full variety of soft and alcoholic drinks including cocktails, beers and wines.